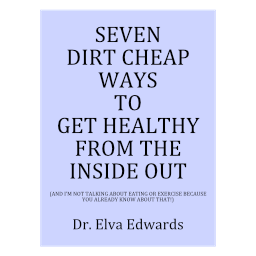 October 2018 – Dr. Elva Edwards, D.C.
Insurance is one of those things we never want to have to use. But if you need it, you certainly want to have it. People need to be treated for injuries they sustain in a car accident, but to do so, you must have proper coverage. In Colorado, you can get car insurance and not cover yourself as the driver, but I wouldn’t suggest it. You need to have MED PAY. That means, if you get in a car accident, you can come to my office and be treated through your insurance. It simply doesn’t make any sense to not have some coverage! I first started this when Colorado went the way of no-fault insurance. When I began, I had $5000 worth of MED PAY. After some years I changed it to $10,000. Decide what amount your are comfortable with, but don’t find yourself naked when you need coverage. This is just a friendly reminder: call your insurance and see what kind of coverage you have. Most people don’t know what coverage they have until they need it. Get it before you need it! Rodney Dangerfield always said, “I don’t get no respect.” He could have been talking about vitamin C. Why should it get respect? This article says, “poor brain function is directly linked to low vitamin C levels.” They checked blood levels and having levels below 23 micromoles per liter (moderate deficiency) caused the odds to double for mild cognitive impairment! This may be why so many of my patients just feel better when they take Camu.